The Fairy Tail - Zerø Arc is the successor to Fairy Tail - Wooooow. The popular Fairy Tail - Wooooow modpack located here: https://mods.curse.com/modpacks/minecraft/238495-fairy-tail-wooooow has been downloaded over 250,000K times combined between the Technic Launcher and here at Curse. That's not counting all the downloads it received via the FTB launcher. However, that pack is rather out-dated and still operating on 1.7.10 Minecraft. So it was time for an upgrade. Enter Zerø Arc. The modpack keeps the same design tactic as the original. Even if you are not a fan of the Anime, this pack encompases a neutral feel so that players can still enjoy a Magic/Fantasy environment. Your standard "staple" technology mods are not in this pack because once again it caters to the Magical feel. However, for those who like to play with technology this pack does house Immersive Engineering and a small number of others, like RFDimensions to truely design your own worlds, which can be combined with some of the magic mods to create some very interesting creations. As mentioned above, this modpack was designed with the same concept in mind as its predecessor. However, it is on the updated foundation of Minecraft 1.11.2. 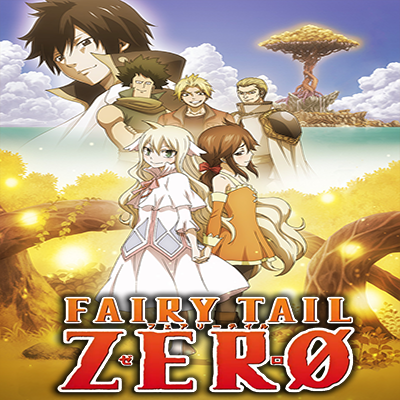 The Zerø arc, in the anime, chronologically took place before the Fairy Tail Anime series. That concept was not skipped over in the design of this pack. For many people on the Official Fairy Tail Server or on Single Player who have progress saved, this is your Zerø, this is a step back from all the progress you've made a chance to explore new mods (like Astral Sorcery, and Embers) have new adventures, and have a new fresh experience on an updated Minecraft. Naturally, the original pack isn't going anywhere. As I said this pack is the successor, not a replacement. So come join on a new adventure, with new mods, new quests, and new experiences. This modpack will also contain one of my own newer mods, Mystic Divination.